Is Knitting Good for You? The cold and ‘flu season is well and truly upon us and this year mum has been laid low with a nasty dose of bronchitis which seems to be taking forever to clear up. 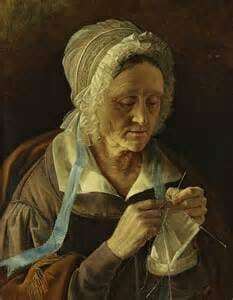 However, one good thing about having knitting as a hobhttps://www.noted.co.nz/health/health/the-strangely-therapeutic-effect-of-knitting/by is that she can still work at her crafts even when feeling unwell. In fact it is now recognised that knitting has great therapeutic value and there are even calls for knitting to be put in place on the NHS to help patients lower blood pressure! Have a look at some of the articles below. Next steps in designing the dog sweater.